Have you considered supporting your community by becoming a Parish Councillor? The documents listed below will give you information and guidance on how to proceed and what you need to do and know to help make a difference by influencing decisions that affect your community. Planning Applications – to advise NFNPA of the Planning Committee’s recommendations with regard to new planning applications. To maintain and enhance the recreational facilities at Coles Mead Recreation Ground and the open space at Great Mead. To set an annual budget to determine the Parish rate (Precept). To nominate representatives on village organisations and outside bodies. To make note of and pass to the responsible authority for action any matter of general concern to the parish. 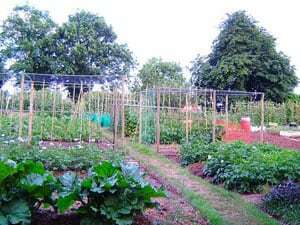 Allotments – to manage the 105 allotments situated at Pikes Hill, Lyndhurst. Provision and maintenance of 50 seats, 6 dog waste bins, 7 bus shelters and 4 flower tubs. Maintenance of noticeboards at Emery Down, Bank, Lyndhurst car park (village walk), Cemetery and Allotments (x2). Litter bins at Recreation Ground. Maintenance and management of Cemetery at Boltons Bench, Lyndhurst. Provision of equipment for Community Speedwatch Scheme. To work with the first (HCC) and second (NFDC) tier of local government to ensure the effective delivery of services to the local community. To work with NFNPA and other organisations regarding matters both within the parish boundary and a wider aspect that might influence our community. To become involved locally in promoting heritage and enjoyment (eg Arthur Phillip project/Picnic in the Park/Remembrance Sunday). To raise the profile of the Parish Council wherever possible (eg Village of the Year Competition).